Crossy Road has been my mobile addiction for the past few months, but there’s little opportunity to discuss voxel animals’ unclothed appearance here on Final Fashionista. 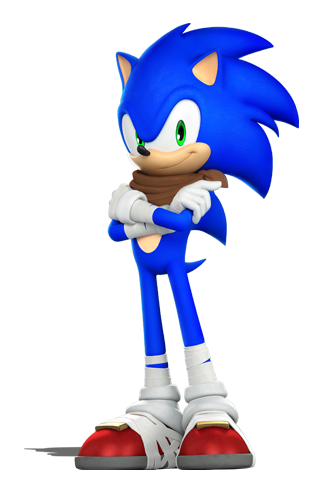 However, the game’s most recent update introduced a slew of adorable Australian characters, including one that was familiar in name thanks to the Sonic the Hedgehog series, yet totally unrecognizable in appearance: the echidna. This guy is a ridiculously cute ball of spiky beaver/platypus, with an anteater-like tongue, pointy beaklike muzzle, and thick sloth-toes. 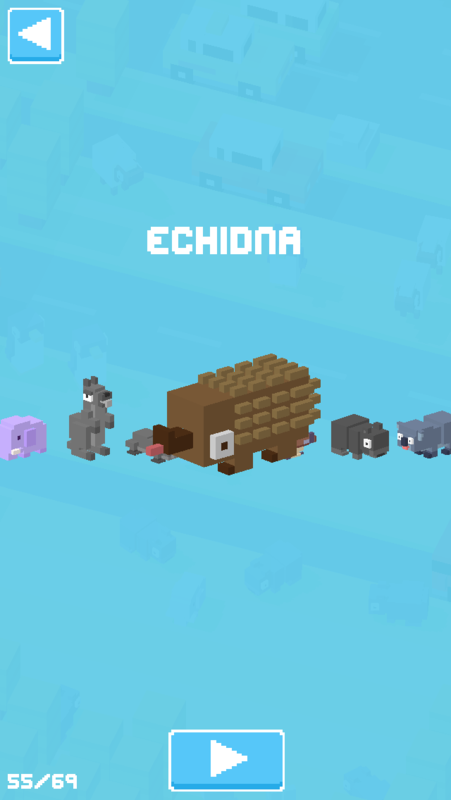 Turns out, like most of Crossy Road‘s creatures, it’s a pretty accurate representation. What have we been accepting as an echidna in Video Game Land all this time? 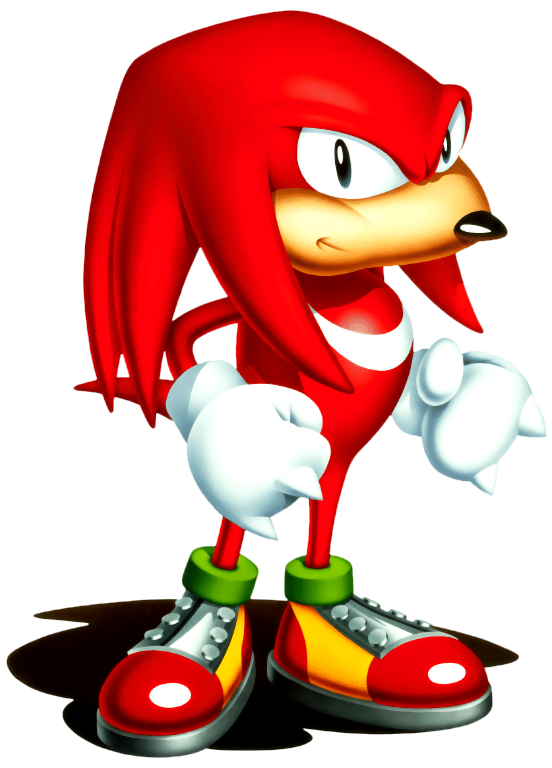 Knuckles, who was introduced in Sonic 3 way back in 1994. Even ignoring the ten-ton bowling shoes and evil Mickey Mouse gloves, Knuckles shares very little in common with the adoraball above. 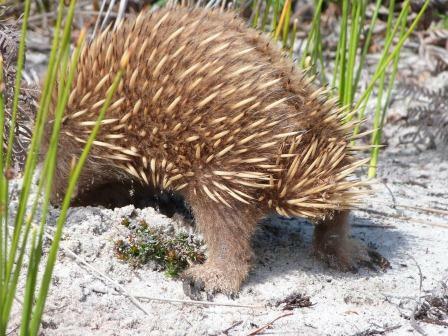 His “spikes” have been elongated into a bob of droopy dreads, his nose is a cross between Homer Simpson and a greyhound, and he has a randomly long lightning bolt tail (unlike the thick, stunted, and super spiny nub of real echidnas). 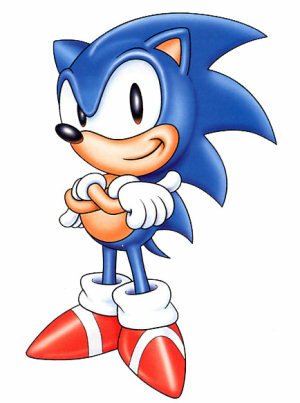 Granted, Sonic isn’t a true-to-life hedgehog, but he at least shares specific traits with his origin species. He has actual spikes, pointy hedgehog ears, a tiny button nose, and even appropriately skinny legs. 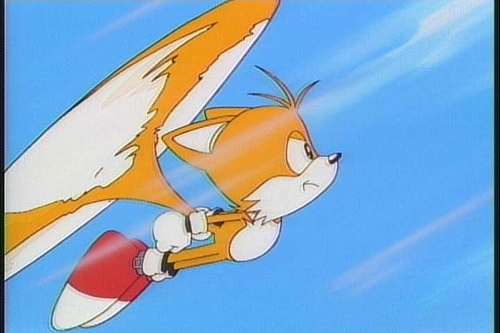 The blue might make a first-glance classification difficult, unlike Tails (who is so obviously a fox that you can still tell while he’s helicoptering around), but “hedgehog” is at least an understandable explanation for ol’ blue fur. 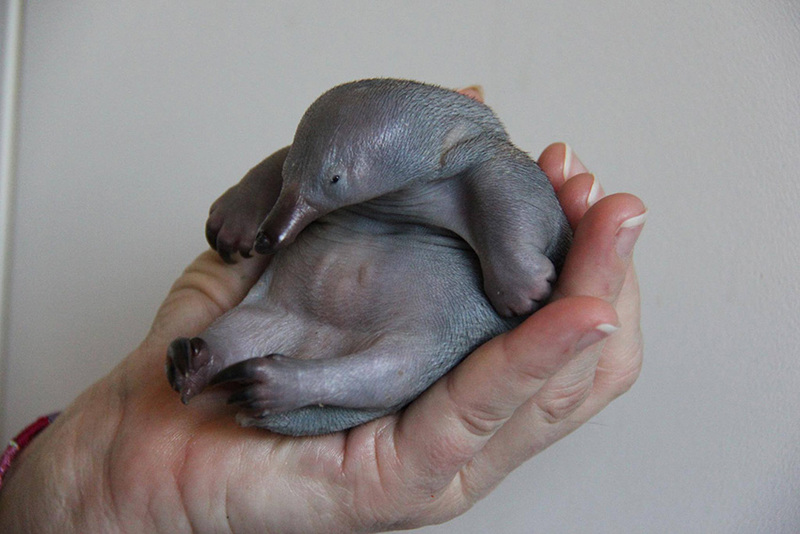 Unlike this, which has become even less echidna-like over time. 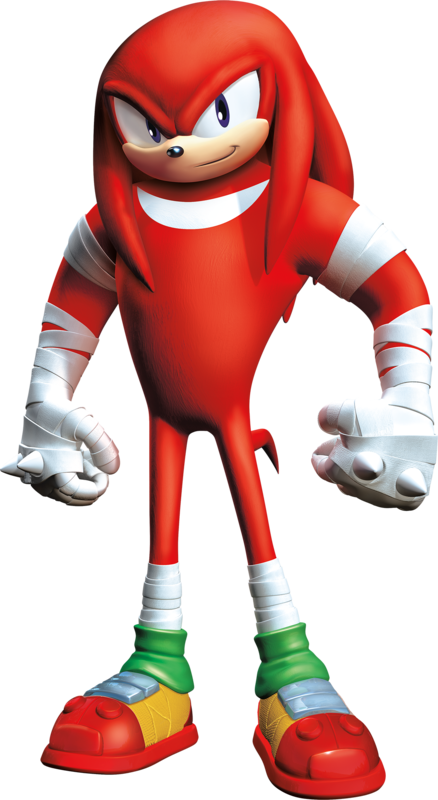 Knuckles in Sonic Boom has legs that are even longer, skin that is even smoother, hair-spikes that are even droopier, and a face that is even flatter despite his species’ relation to the long-beaked platypus. Maybe he had his quills surgically removed and that explains the bandages. A nose job, eyebrow lift, tail enlargement, and boom: Knuckles the “echidna.” Possibly the first video game animal with an addiction to plastic surgery? Or he’s reverting to buff baby form, which falls somewhere on the spectrum between creepy and adorable. This entry was posted in Character Specific, Fashion, Video Games and tagged Sonic the Hedgehog. Bookmark the permalink.